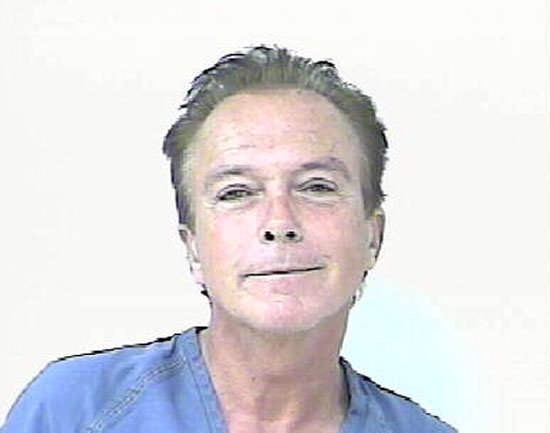 David Cassidy, star of the 1970s TV show “The Partridge Family,” was arrested by the Florida Highway Patrol in November 2010 and charged with DUI. Cassidy, 60, was pulled over after a trooper saw his 2008 Mercedes weaving along a St. Lucie County highway. Cassidy, who claimed to have had a glass of wine and a Hydrocodone pill earlier in the day, failed a field sobriety test and blew .139 and .141 on Breathalyzer tests. Submitted by ftancredi on Tue, 2010-12-28 22:42. Submitted by Dar-Lynn Carpen... on Fri, 2010-11-26 06:16. David, we thought you were over that "Come On Get Happy" thing. Next time you really should take the bus. !